We have to thank this owner for his continued loyalty. 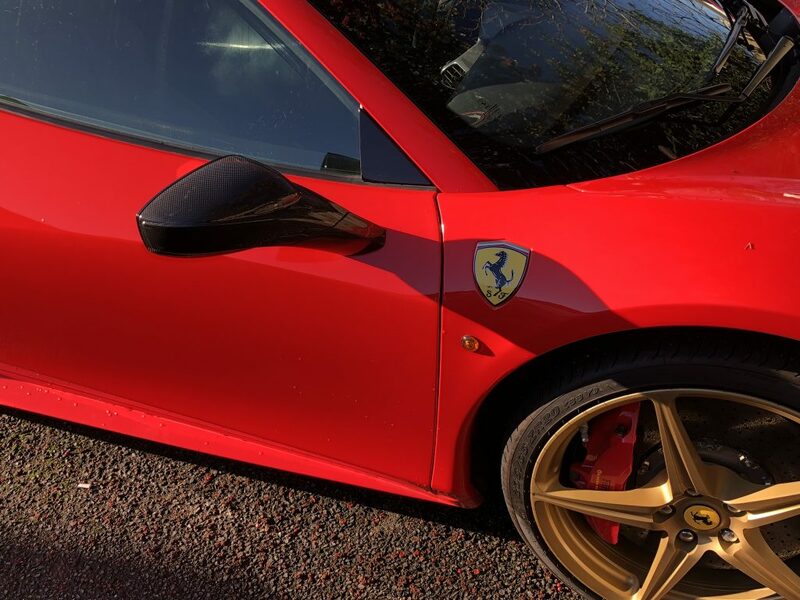 Mr S.P has fitted a sport exhaust, carbon, lowering springs or some other upgrade on every single one of his Ferrari’s (and he’s had a lot of them). 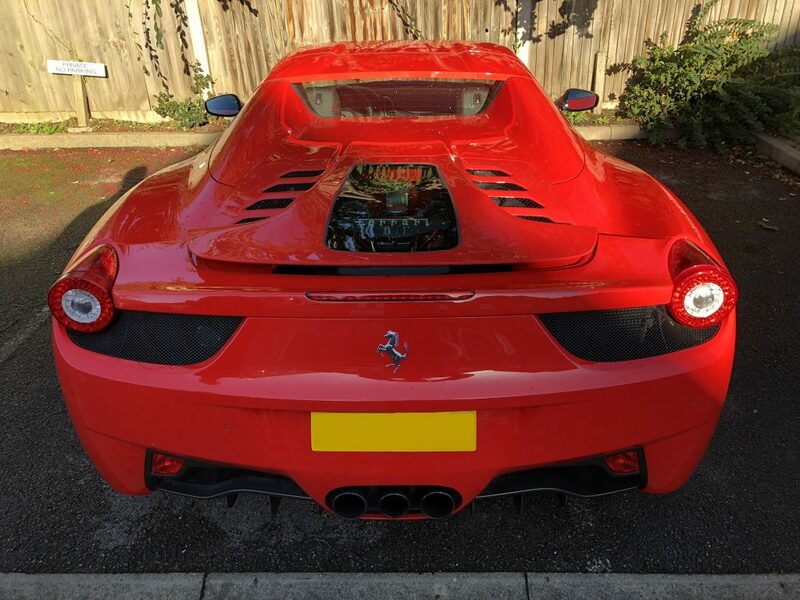 When his 458 Spider arrived, he naturally fitted the obligatory sports exhaust of course, but then it was time for some carbon! 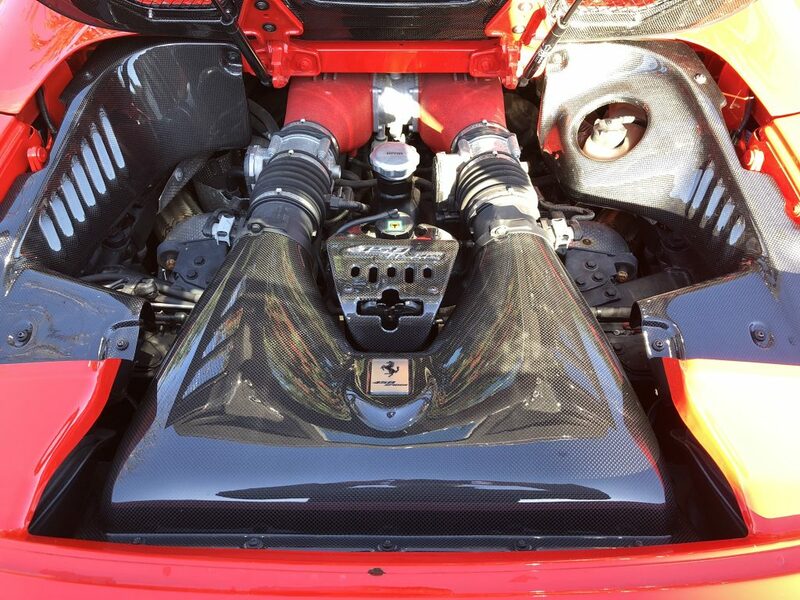 What the owner wanted to improve most on this 458 Spider was the rather “under-styled” original engine cover. 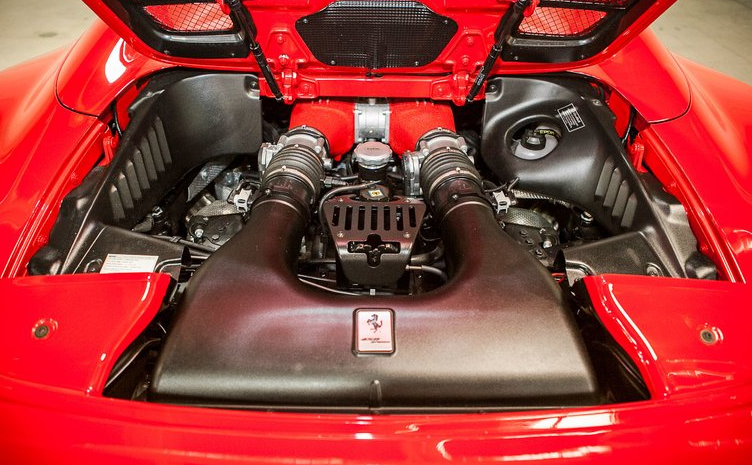 Where’s the clear glass cover allowing you to admire the engine? 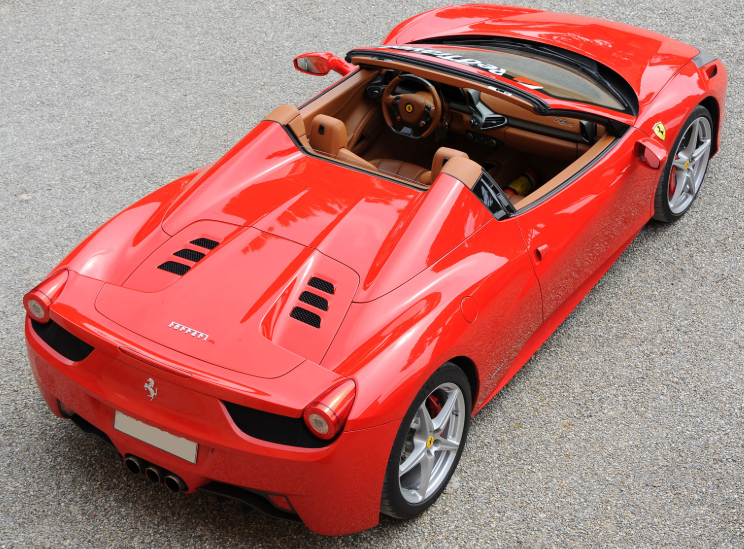 Ferrari owners will remember that the 360 and 430 Spiders both had a beautiful clear glass engine cover. 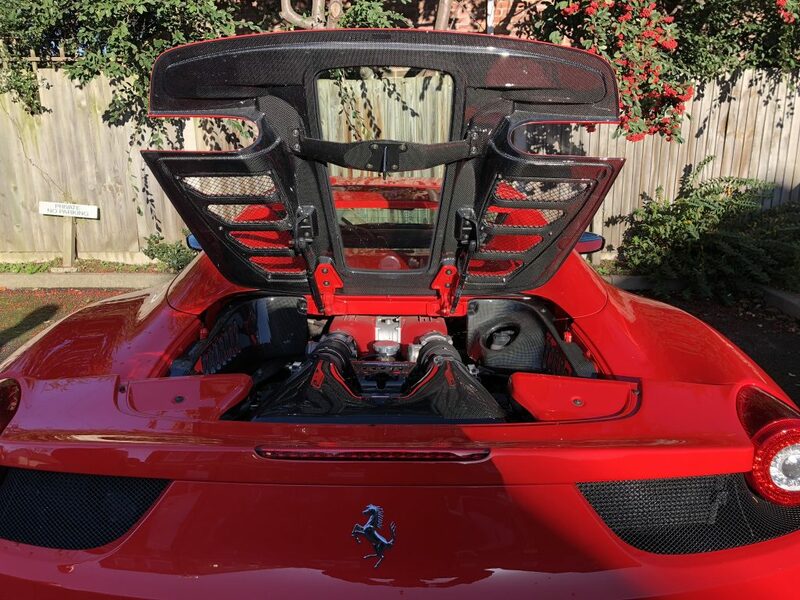 Given that this owner had owned both of those, he picked this up and found a metal slab – no glass – no beautiful engine bay for admirers to ogle. Pick up the engine cover and inside, instead of the beautiful carbon fibre he was expecting , there were large plastic panels on the sides of the engine, a plastic airbox, and a rather “basic” lock cover. It all had to go. 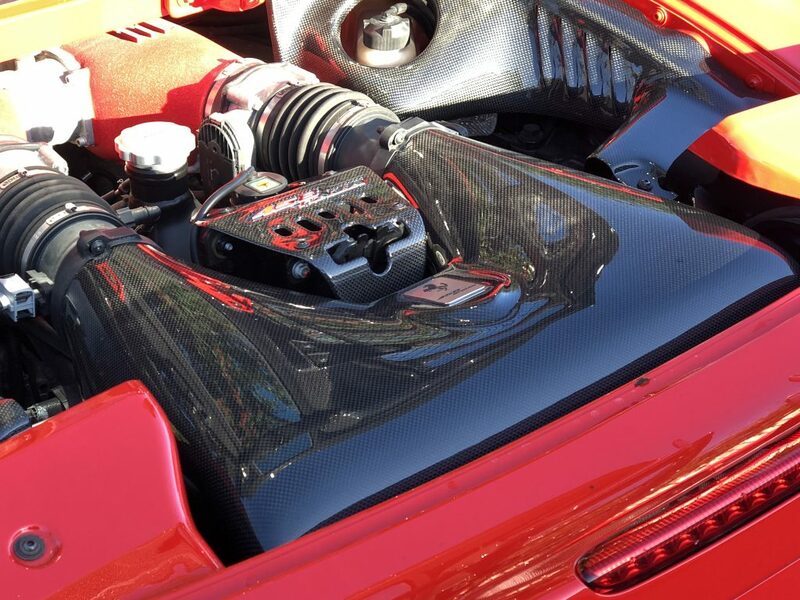 So, we fitted for him – Capristo Carbon Fibre Glass Engine Cover, Capristo Carbon Fibre Airbox, Capristo Carbon Motor Compartment Side Covers, Capristo Carbon Fibre Lock Cover. More details on each carbon product can be found here. Totally transforms the rear of the car without looking aftermarket – looks almost like a factory option. Open the lid and just look…. automotive jewellery. Really smart looking upgrade. Perfect. The owner already has the full sport exhaust fitted with remote control – that’s a Capristo rear silencer, sport catalysts, check-engine delete module, and remote. With all the carbon above, there’s not much left to do. However, the car WILL be back for the Novitec sport springs and spacers to give it that low-slung look it really already ought to have already.